Given the renewed focus on Graduated Driver Licensing (GDL) – for example, in February 2018 the Prime Minister promised in the House of Commons to ask the Department for Transport to revisit the subject – the RAC Foundation has used the latest available road safety data to update previous estimates, published in 2014, of the potential casualty and collision reductions GDL might bring. This updated analysis uses the same method developed and outlined in the previous report. It assesses the potential gains to be had from a range of typical graduated licensing components used either singularly or combined. The updated estimates show, using the same methodology as previously, that the potential benefits – in terms of reductions in casualties and collisions – across all four of the possible scenarios tested for would be less now than they would have been in 2014. The new analysis does not go beyond updating the figures. The RAC Foundation has not sought to explain the changes in figures though they could be related to factors such as: safer vehicles, lower mileage rates amongst young drivers or behaviour change caused by greater use of telematics insurance. Further study is required to understand the underlying trends behind this change and the RAC Foundation will continue to conduct research into the general topic of young driver safety. For the first time the human cost of crashes involving young drivers has been plotted across 49 different areas of Britain highlighting significant regional variations. Nearly one in eight (11.9%) of all road casualties are hurt or killed in collisions involving a car driver aged 17-19. This is despite 17-19 year-olds making up only 1.5% of licensed drivers. The proportion of casualties is highest in Dyfed Powys at almost one in five (18.2%). This is followed by Gwent (17%), Cumbria and North Wales (15.8%), Northern and Grampian (15.7%) and Cornwall (15.5%). London had the smallest proportion (5.6%). The work has been done by the Transport Research Laboratory (TRL) in a report commissioned by the RAC Foundation. TRL also made a conservative estimate of what the reduction in casualties would be in each area if a system of graduated driving licensing (GDL) was introduced. Based on the experience of other countries where GDL is in operation, the report authors concluded that across Britain about 4,500 fewer people would be hurt in an average year. This includes about 430 people who would otherwise have been killed or seriously injured. 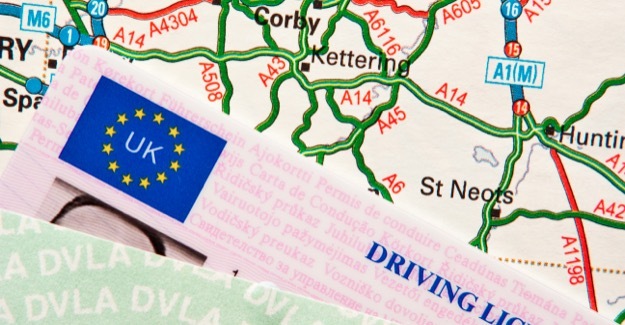 Among other possible requirements (like a minimum learner period and lower alcohol limit for new drivers), GDL schemes typically place temporary restrictions on newly qualified young drivers in the first few months after they pass their tests. These restrictions can include a limit on the number of young passengers they can carry and a late night curfew. The aim of GDL is to limit young drivers’ exposure to risk until they have gained experience. Currently one in five young drivers will have an accident within six months of passing their test. Novice young drivers are at particular risk because of both their lack of experience (which affects new drivers of all ages to some degree) and the biological and behavioural characteristics of youth.